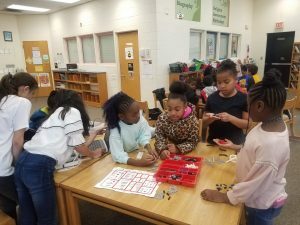 Digi-Bridge is pleased to announce a $50,000 gift from OrthoCarolina Foundation in support of Digi-Bridge’s Full STEAM Ahead programming at Ashley Park PreK-8 in 2016-17. 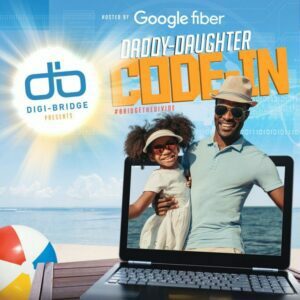 The OrthoCarolina Foundation gift will allow Digi-Bridge to launch an innovative pilot STEAM (science, technology, engineering, arts and mathematics) education program at Ashley Park, a federally designated Title I elementary school serving more students in poverty than any other in the district. 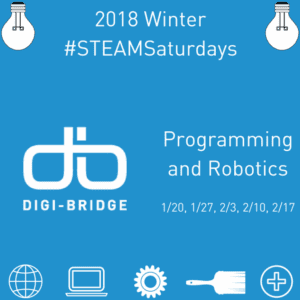 Digi-Bridge’s Full STEAM Ahead is a yearlong initiative that will increase the number of students served through #STEAMSaturdays, its signature science, technology, engineering, arts and mathematics courses, while simultaneously testing new, STEAM-centric approaches to teaching and learning. 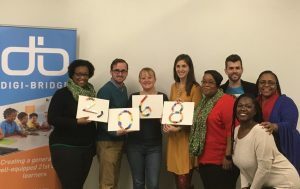 Under the leadership of Ashley Park Principal Meaghan Loftus, the school contin ues to show tremendous gains across all disciplines. 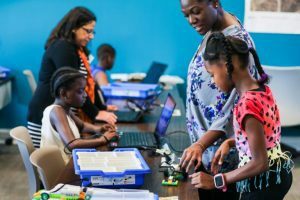 Full STEAM Ahead, fueled by OrthoCarolina, will allow Digi-Bridge provide 100 Ashley Park PreK-8 scholars with #STEAMSaturdays learning modules, as well as launch a pilot cohort model for a group of eighth graders and provide professional development to select faculty and staff.  Nonprofit organization Digi-Bridge was founded in 2014 with the audacious vision of bridging the technology gap for underserved students and their teachers to ensure students have the skills to succeed in the digital age. 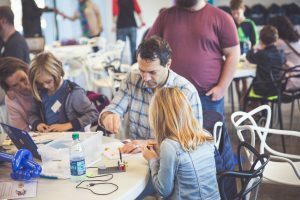 Expanding from five locations in its initial year of programming, Digi-Bridge will offer #STEAMSaturdays programming in nine locations in 2016-2017, including cohorts at Allenbrook Elementary, Ashley Park PreK-8, C3 Lab, Charlotte Mecklenburg Library, MAX! 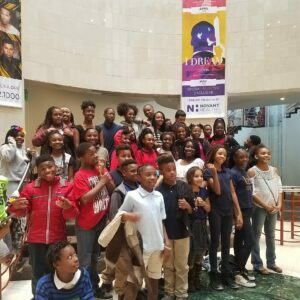 and Renaissance West Community Initiative.